Happy Monday, AdLuge community members! 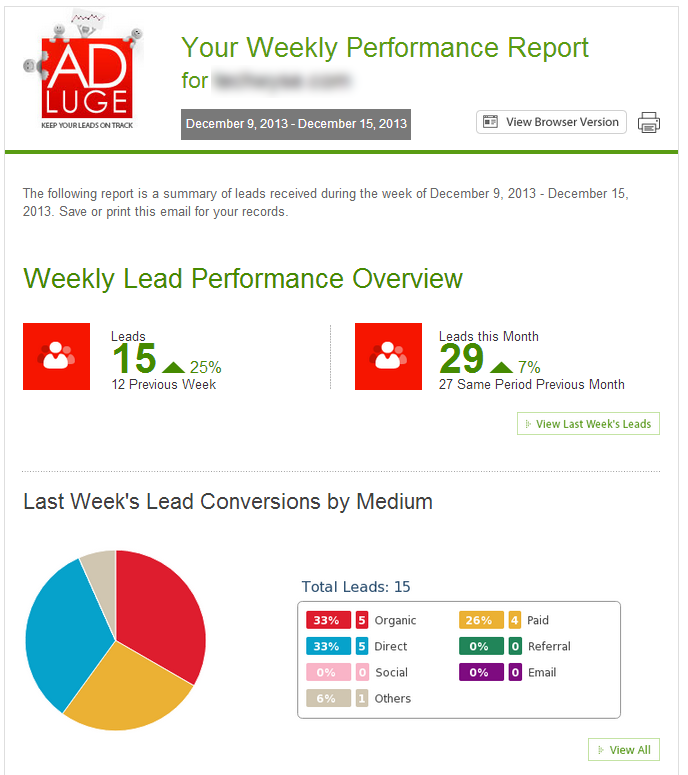 An exciting update has moved live today, our new and improved Weekly Performance Reports! These reports focus on weekly performance metrics and demonstrate progress in comparison to previous weeks, and where you stack up in comparison to the same week in the previous month. More long-term reporting trends will be compiled in our new Monthly Performance Reports set to launch at the beginning of January. All these are efforts to bring you better, more impactful data directly to your inbox! All clients should have received their new Weekly Performance Reports today! Be sure to check your spam folder in your email client if you do not see the reports in your inbox. You can indicate which emails should not be going to your spam folder within your email client settings. If you still do not see the Weekly Mailer, or are having trouble saving spam settings, please contact your Account Manager and they will assist! Great changes to the weekly report. I love the visuals. Makes it a lot easier to see results in a glance. Glad you like it Daniel!